Trapping is a puzzle. It is an exercise in finding and fitting together all the pieces of hardware, terrain and knowledge to get that desired critter to step on the square inches of a trap pan or slip into a bodygripper. Of all the square miles of habitat you trap, how do you find THE spot where the paw will be placed? What an intriguing challenge we have accepted and determined to pursue. Trapping is a time-honored tradition, sport and business. This is what fills the pages of the AMERICAN TRAPPER. 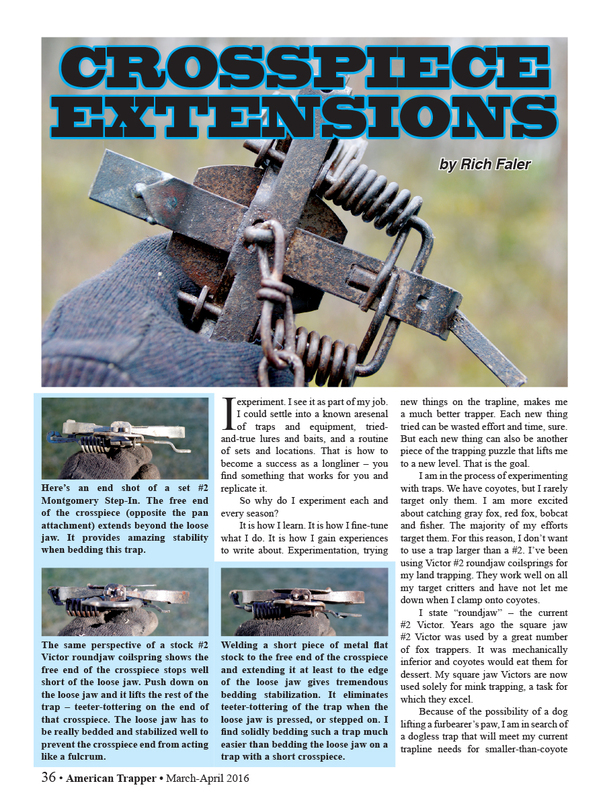 It is my endeavor to fill each issue’s pages with a tremendous mix of how-to-do articles, think pieces, and reports on everything trapping. 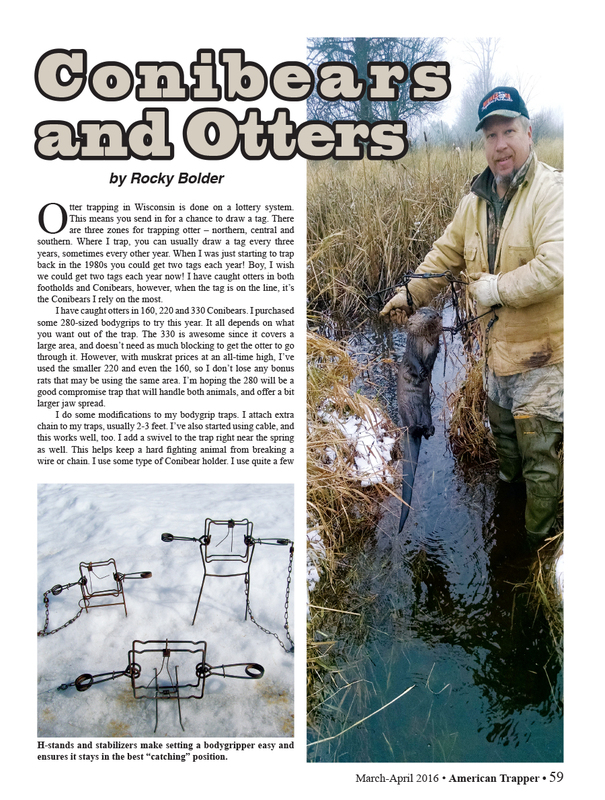 We have been blessed with articles from well-known and respected trapping “names” such as Major Boddicker, Mike Marchewka, Ralph Scherder, Paul Grimshaw, Mark June, Kyle Kaatz, Jeff Dunlap, and many more. And as in all things, the “unknowns” have given tremendous knowledge and new ideas on our pages. 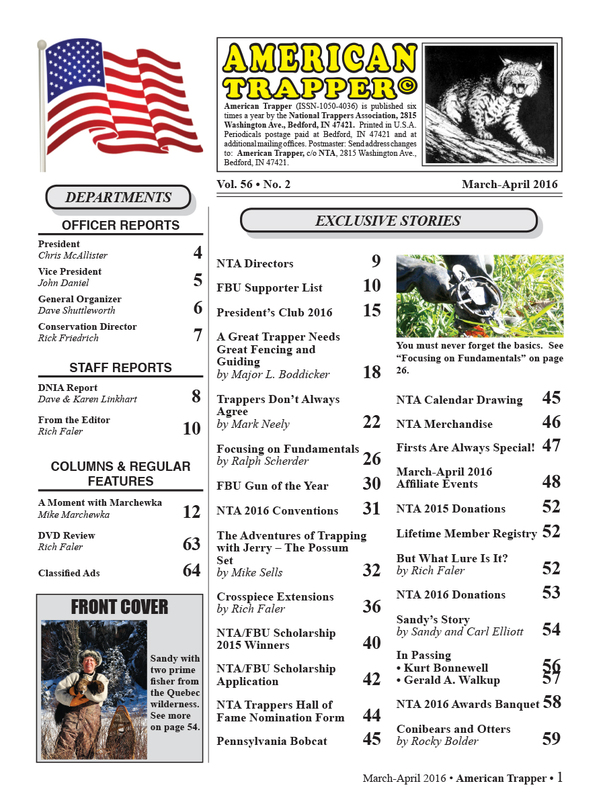 The American Trapper is published by the National Trappers Association (NTA) to educate trappers, offer top quality trapping articles, keep everyone informed on pending trapping legislation (both pro- and anti-trapping), trapper convention coverage, and NTA activities. 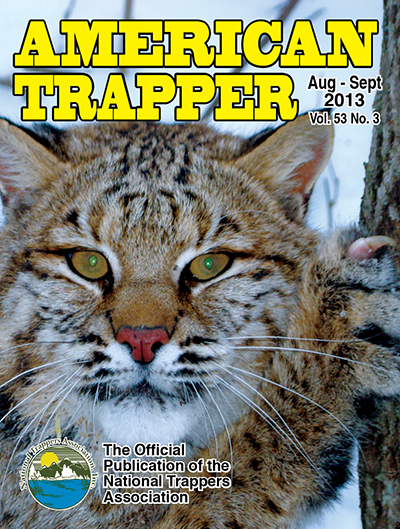 It is the leading trapping publication in the world for the most informed and involved trappers. 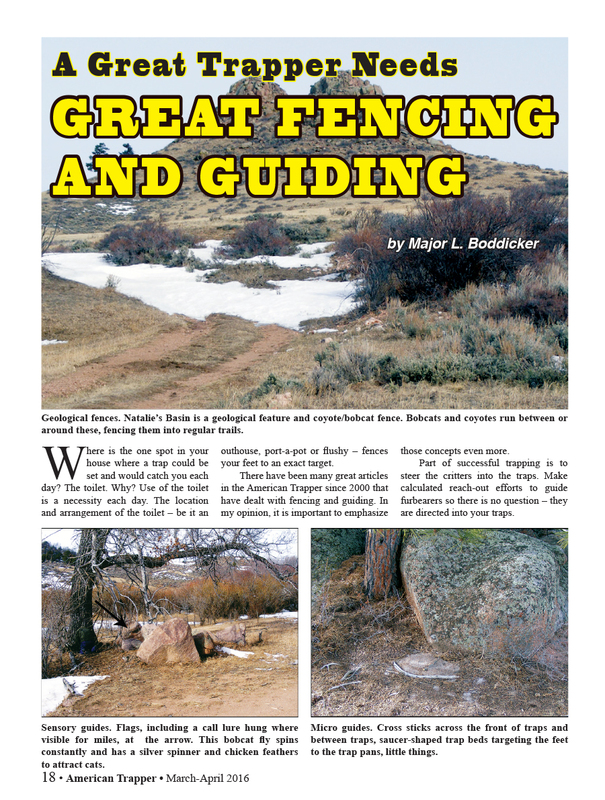 I began editing and laying out the AMERICAN TRAPPER with the Fall 2012 issue. The magazine was published 4 times a year at that time. Six issues a year (every other month) a now being published. Because this is an organization publication, it is not available on newsstands or as a subscription. All NTA members receive the AMERICAN TRAPPER automatically. A full-color, 128-page book on building and using cable restraints (live-catch snares) for coyote and fox. By Rich Faler. A full-color, 96-page book on trapping this symbol of the unspoiled wilderness. By Ralph Scherder and Rich Faler. with Ralph Scherder and Rich Faler shares the annual predator trapping trek of two nationally-known trappers to the Pennsylvania mountains. Special coverage is given to bobcat, fisher and overcoming freeze-thaw conditions. with Ralph Scherder and Rich Faler shares the adventure and methods of two seasoned trappers on their lake boat trapline for raccoon. Six large, full-color issues a year with trapping articles, legislative updates, and other information concerning the trapping community. A magazine covering fishing and hunting across Pennsylvania. Regular features. Lots of photos of successful outdoorsmen and women. Family-friendly! Copyright 2016 Rich Faler • Rich Faler designed and is the webmaster of this website.